This—and similar variants—are common in debates over charter schools’ efficacy. Charter critics claim (though the data are contested) that charters serve a lower percentage of dual language learners (DLLs) than district schools, which supposedly explains why charters get better results with their students. But, as is usually the case when it comes to charter schools, these sorts of claims miss the point. Charter schools don’t serve their fair share of DLLs—except, of course, when a majority of their students are DLLs. There’s considerable variety between each state’s charter sector, and this variability is relatively tame compared with the myriad of charter models within each state’s sector. Note, by the way, that the critique implies that DLLs are especially difficult to educate, that they’re somehow anchors holding a school back. Why else would critics offer their supposed absence as an explanation of charters’ relatively strong performance compared to district schools? While there’s increasing evidence showing that DLLs do follow unique patterns of linguistic development, it hardly follows that these constitute linguistic or academic deficits. DLLs frequently bring powerful assets to the classroom which support long-term academic success. While the caveats about aggregate charter data still apply, Stanford’s Center for Research on Educational Outcomes (CREDO) continues to find that DLLs at charter schools significantly outperformed peer DLLs at district schools. While there’s increasing evidence that DLLs do follow unique patterns of linguistic development, it hardly follows that these constitute linguistic or academic deficits. In an effort to make these gains available to more students, a new round of one of the Department of Education’s grant competition for charters aims—in part—to support charters interested in improving DLLs’ academic achievement. 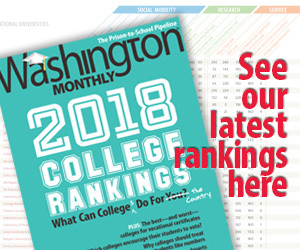 The competition’s primary objective is to increase “high school graduation rates…and college enrollment rates in high-poverty schools,” but it offers bonus points for applications promising to focus efforts on dual language learners, rural students, students with disabilities, or military families. In other words, charter operators that apply for grants to specifically serve those students will initially be scored higher than more general applications. The competition has included DLLs as a competitive priority in the past, though this year’s language narrows the focus on them somewhat (in past years, they have been one of many other bonus options). The competition also invites charter operators to explain how their applications would contribute to increased school diversity (though no additional points will be awarded on these grounds). The Department plans to distribute roughly $4 million in grants across 18–22 awards, each of which will average around $200,000. The grants will support either: 1) “Planning, Program Design, and Initial Implementation;” or 2) “Dissemination.” In other words, charter operators may seek grants for designing and launching a new school or for capturing and sharing a charter’s best practices for serving these students. Sure, $4 million remains a drop in the bucket when it comes to federal education spending. It works out to less than two dollars per American charter student. But these grants are still encouraging, since they’re targeted at two of the niche critiques of charter schools: that they don’t serve enough DLLs and don’t share their innovations with other schools.